Memorial Day Sale thru 5/27. 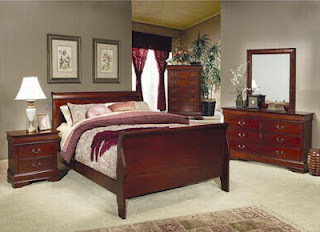 Enjoy free shipping on any order consisiting of a bedroom set or massage chair. Bring home the casual and elegant Louis Philippe Bedroom Collection by Coaster. This group is made from select hardwood and veneers available in your choice of a Rich Cherry or Deep Black finish. Case pieces include metal on metal glides, felt lined top drawers, and English dovetailing for durability and function.